We need to talk a lot more about sharing as a way to radically reframe the post-growth debate, argues a recent report from the Green House. If growthism is the substitute for a more just and equal society, then it's time that we all start saying so - and embrace a new common sense for sharing. In recent years, the simple concept of sharing has increasingly gripped the public imagination as a solution to the many problems in our societies. But at present, this still evolving conversation is often limited to interpersonal forms of sharing on a peer-to-peer or community basis, and the wider implications of applying the principle of sharing on a national or global level (and through government policies) is only rarely considered in open terms. For this reason, it was encouraging to read a recent paper by the academic and Green Party politician Dr Rupert Reade that outlines the importance of sharing in the transition to a post-growth society. In a lively and wide-ranging analysis, he investigates how to positively frame the need for a new economy and society – one that is no longer predicated on the endless expansion of GDP growth through unbridled consumerism, regardless of the social and environmental costs. As the paper sets out, it can be off-putting for a general audience to talk in abstract terms of a post-growth, steady-state or degrowth economy, and a more appealing vision or ‘positive narrative’ is required in order to inspire popular engagement in this crucial debate. Is there a better term that can be used, the author asks, and how is it to be framed, communicated and argued for? Reade states that he’s been searching over many years for a way to describe the alternative to a growth-driven economy, which is clearly a huge challenge when it is still taken for granted across the mainstream media that economic growth is necessary, permanent and obviously desirable. What is needed, he writes, is not just a neat phrase to summarise the nature of a post-growth economy, but to make clear that what matters most is a post-growth society where all people understand – as the prevailing common sense – what the economy is really for. Hence we need to challenge the basic assumptions of neoclassical economics and neoliberal ideology in which the economy is viewed as the most important part of society, and as a self-existent ‘thing’ with its own natural laws that must never be harmed or challenged. In this endeavour, Reade promotes various framings around the concept and practise of sharing as a way to radically reframe the post-growth debate. As he argues, the guilty secret of growthism is that it’s an excuse for not having to ask the rich to share, because if the pie can keep getting bigger, then why worry too much about how it is distributed? Clearly, when the ingredients of the economy start running out, then the imperative of sharing wealth and resources more equitably becomes ever more real and urgent. Hence one can talk of the future being better if we share more – including our jobs, which presents a solution to the overwork culture and the problem of high long-term employment. ‘Sharing not growing’ is a slogan that could be used to describe this approach, Reade suggests, so long as it is also made clear that a truly sharing society will undoubtedly have improved levels of wellbeing and a higher quality of life. From a broader perspective, Reade also sees the idea of our shared Earth as having great promise in contributing to a new post-growth common sense, which is a positive framing that contrasts with the more negative associations that many people have with the concepts of ‘limits to growth’ or degrowth. After deftly summarising the problems with the term sustainability, as well as outlining the case for why so-called green economic growth is impossible on a planet with finite resources, he goes on to argue that we need to talk plainly about the need to live within the constraints of ‘one-planet living’. And in so doing, the central importance of creating more equal societies within these constraints means that we have to start talking a lot more about having a sense of ‘enough’, of ending the materialistic culture of ‘more’, and of the necessity and benefits of sharing. Reade concludes by arguing that common sense in the future will become commons sense, in reference to the revived concept of the commons that poses a way out of the endless quest to turn resources into commodities and expand the profit-driven economy. Reclaiming the commons presents the means of doing sharing, he states, and it holds the potential to revive the public and social (i.e. the non-commercialised aspects of life), to renew our interconnectedness with our environment, and to act as an antidote to the alienation that is inherent in modern society. Although this proposed framing on the commons is not explored in any detail in the paper, it is inspiring to see how the concept of sharing is being explicitly linked to the post-growth debate. It may not be an entirely original idea: the green economist Molly Scott Cato has long since discussed the resistance to sharing encouraged by capitalism, for example, and the conversation on sharing the commons is increasing in popularity by the day. But it appears that Reade is on to something new in advocating that we explicitly reframe the post-growth vision in terms of sharing, which could be an important way to engage a mainstream audience on this critical theme of social and economic transformation. He readily admits that he has not completely filled out this proposal, and the report is a first step and call to action for others to get involved in developing, as he puts it, this “language of inspiration… that helps to make sense to the world out of the common good that we share. Of the shared project of sharing and more, that could yet see the post-growth world as a place that is good, rather than terrifying and depressing, to live in.” So we would do well to take up Reade’s final recommendation to contribute to this work ourselves, and to adopt this new framing and vision of sharing in our various endeavours. Post-growth Common Sense: Political communications for the Future, Rupert Read, Green House, 2014. Let's build a post-growth economy that works for the 99%, Rupert Read, The Ecologist, 16th May 2014. Challenging 'growthism', Rupert Read, The Ecologist, 21st March 2014. 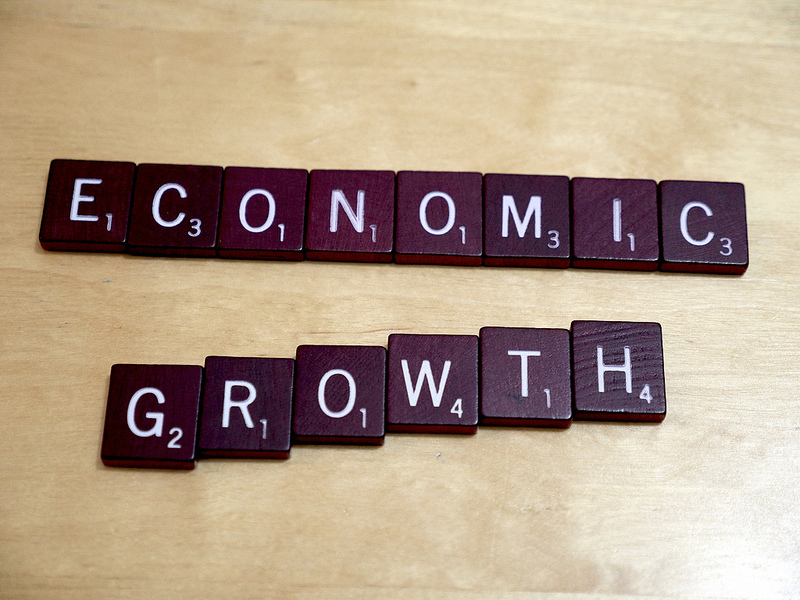 'Constant growth can only make most of us poorer', The Guardian, 31st July 2014. Green House’s ‘Post-growth’ Project: an introduction’, Rupert Read, Green House, 2012.
www.greenwordsworkshop.org (a blog on environmental reframing).